What goes perfectly with dogs, veg heads, and November 12? Here are JUST SOME of the amazing vegan/vegetarian options you will see in our spread at this year's Howl at the Moon. A massive thank you to these businesses and friends that love us and even moreso the pups!! Hey Streetdog Fans! We need a little help from our friends! We are releasing our 3rd Limited Edition Streetdog Foundation t-shirt this fall and we want YOU to design it. send a file with your submission to media@streetdogfoundation.com. On the deadline, our leadership team will select 3 finalists and we will post those to social media for a public vote. We would love to see some designs that creatively depict our mission to rescue, rehabilitate, and re-home stray and abandoned dogs in Memphis. The winning artist will get a free ticket to Howl at the Moon and will be credited on the shirt. How can you get one? Come to the 4th annual Howl at the Moon and visit our merch tent. After the event, any remaining shirts will be available on our website at www.streetdogfoundation.com/streetdog-shop. Can’t remember what the first 2 Limited Edition shirts were? See the photos below of our tie-dyed Grateful Dog shirt and our beloved Monk t-shirt. Laura Helper Ferris has been helping stray dogs find homes for several years now. 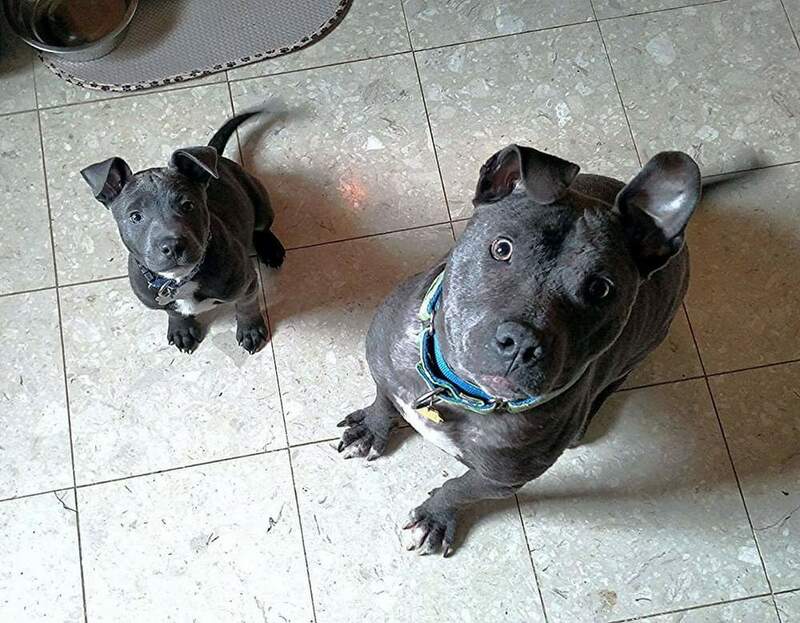 After finding dogs who would make their way to forever homes via Streetdog, she finally became a foster fail and added sweet Lila to her pack last winter. 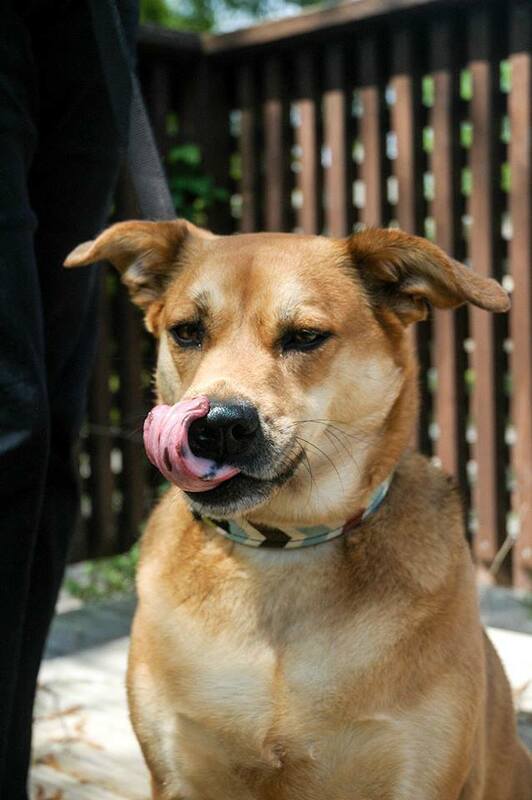 She is also a Streetdog volunteer and a member of our Training and Integration team. "It was a dark, rainy, fall evening when Laura Helper-Ferris was on her way to Memphis from Fayetteville, Arkansas for a business trip. 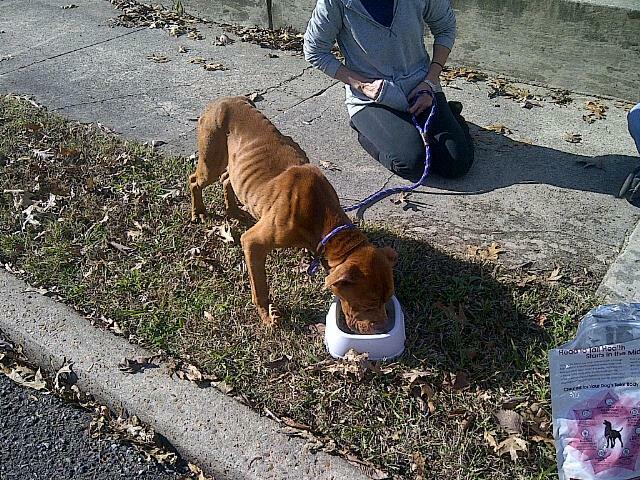 She saw a dog dangerously close to the side of the road near the city dump and was compelled to stop. Percival came trotting right to her, hopped into her rental car, and she promised him that she would find a way to keep him safe despite her situation. At the time, Laura frequently traveled for work and lived in an apartment. When she called her fiancé to tell him about the dog, he simply said “I can’t wait to meet your refugee”. It’s impossible to know what Percival had seen or experienced before he came to Laura and Patrick. All that mattered was that they had an instant connection and he immediately became part of their family. Two years later, it would be Percival who chose the next member of their family. On a walk around the neighborhood one afternoon, a dog approached them from across the street, and placed his paw on Percy. Hector chose them to be his family too. 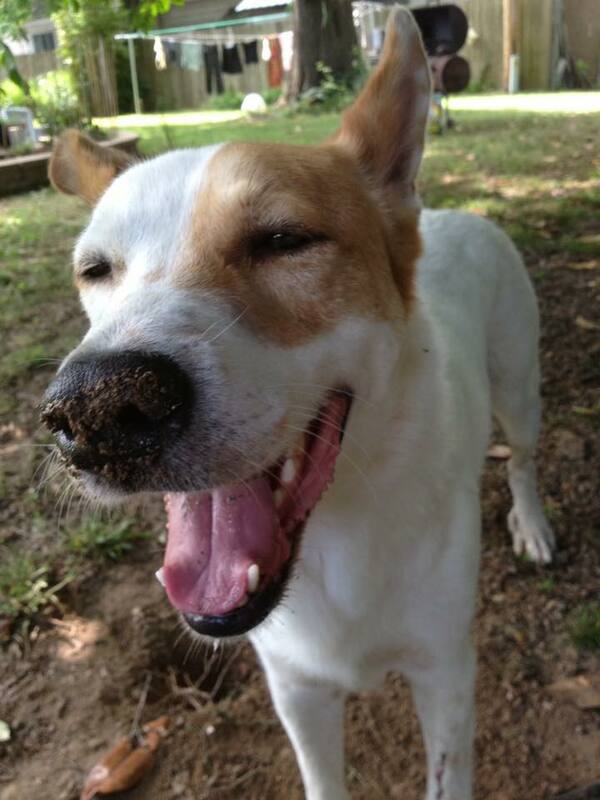 Years later, another dog wandering the neighborhood would connect Laura to Streetdog Foundation. Some friends of Laura’s saw a dog at a busy intersection and agreed to keep the dog at their home while Streetdog found an adopter. 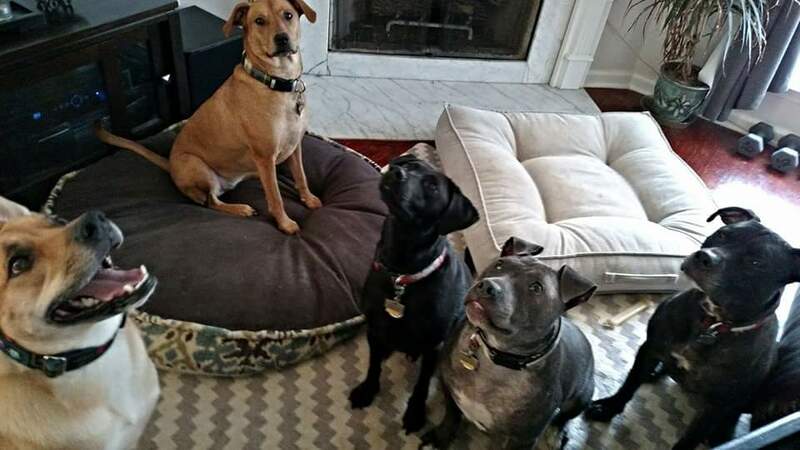 It didn’t take long before their friends fell in love with Rudie and decided that he had already found his home. Soon, a starving dog (Walter) in a parking lot would bring Laura and Patrick back to Streetdog. A friend agreed to foster him, and Streetdog helped find the perfect home for him after a long recovery from heart worms and other illnesses. In 2013, their beloved Percy passed away. Hector was lonely without a canine companion, so Laura brought home a dog from the streets she spotted on a Facebook ad. They were back to being a family of four! 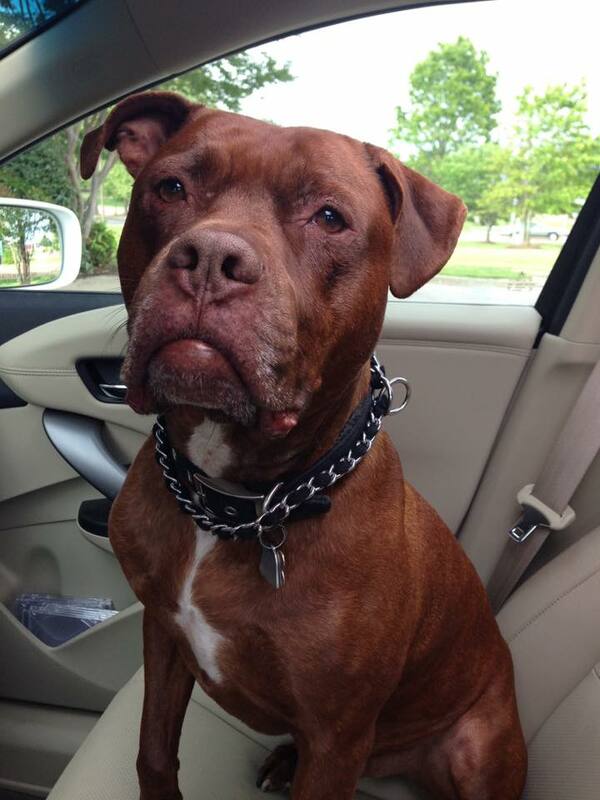 As is fitting with this story, another dog needing a family happened into their lives. This time, Laura and Patrick agreed to keep the pup while working with Streetdog to find a home. The moment Lila put her paw on Patrick, they all knew she was meant to be with them. And four became five. Morgan McAndrews is a member of the Streetdog Media team, and many of the Facebook posts you see during the week are hers! 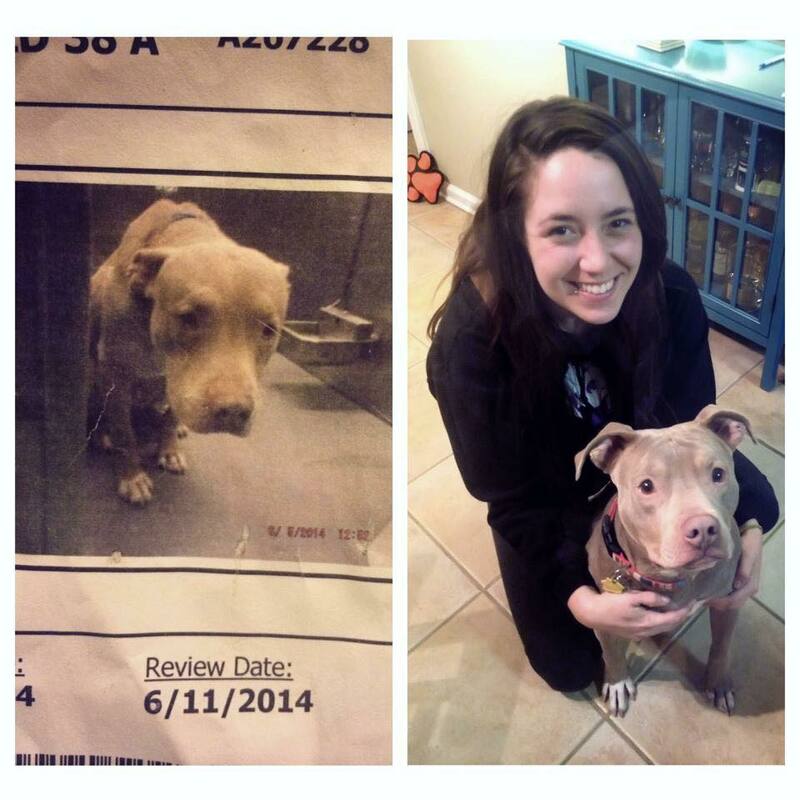 In addition to her work with social media, she also fosters dogs and adopted her very own Streetdog, ‪#‎sdfWeezer‬. She works with our planning team for our annual fundraiser "Howl at the Moon" and is always one of the first volunteers to show up for a "Code Purple" (SDF code for a dog is on the loose). "I didn't know much about Streetdog Foundation until I went to my first adoption ceremony, and wow was it special. I had never experienced anything like it. We laughed, we cried and well... THAT POEM! That one ceremony changed my life. The stars all alined perfectly. The puppy I had been crushing over on Instagram was being fostered by the volunteer at the adoption ceremony! beautiful, forgiving dogs. I now know exactly what the slogan 'Rescue me... Rescue you' means and I will forever be grateful." 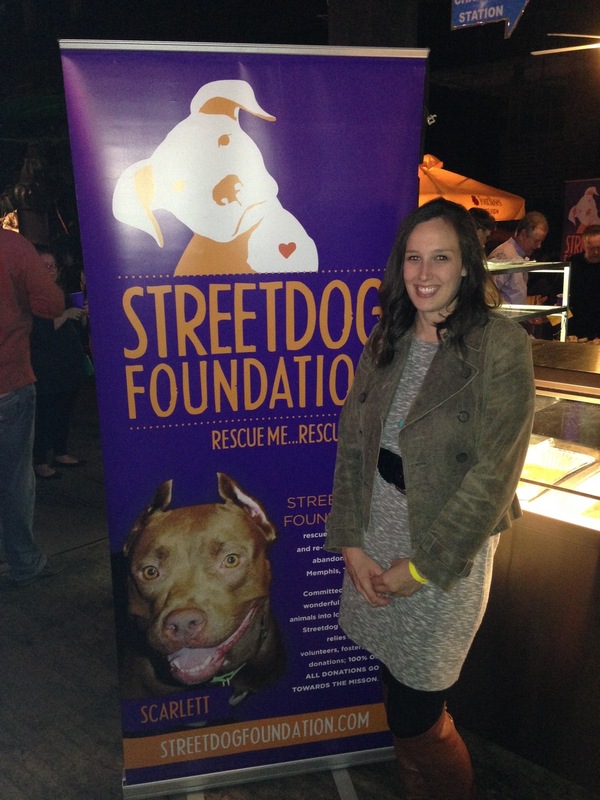 Megan Banet was one of Streetdog’s first volunteers! Her main role is to coordinate foster homes for all of our dogs and to be sure that fosters have everything they need (shameless plug for fostering here-we pay for EVERYTHING). 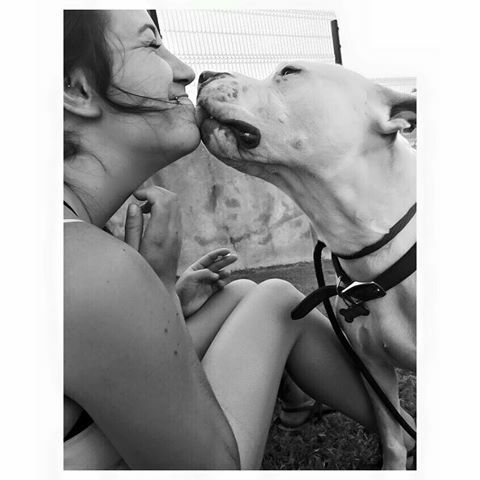 She also works with volunteers who lead our training and integration teams to be sure that dogs are placed in homes safely if there are other animals and that we support any training needs they may have. And, of course, she fosters too! Today's IStreetdog is more of a ‪#‎weStreetdog‬! The Dodds have been SDF volunteers for many years, and in that time, two became 4 when their twins were born. We will be sad to see them move away this summer, but we are so grateful for all of the time they have dedicated to helping us and the dogs. 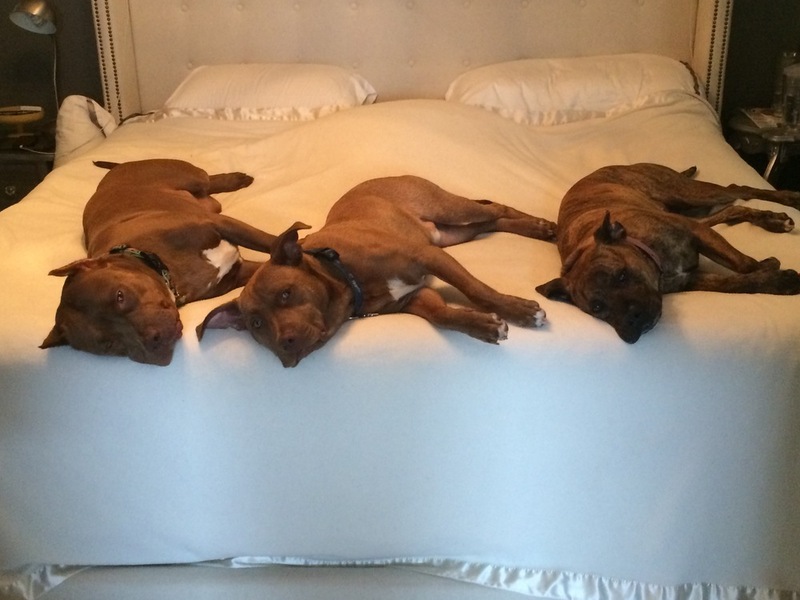 "In the beginning of 2013, my husband and I were tossing around the idea of getting a second dog. We currently had a Treeing-Walker Tri-pawd named Earl. My search for a second dog began by following all the local rescue groups on Facebook. I quickly noticed how Streetdog made it so easy to foster dogs. I thought that would be a great way to expose our Earl to different dogs. I filled out a foster application and a week later Henry and I were meeting Melanie and Kent at Grace Animal Hospital to meet the various Streetdogs that needed out of boarding. The first dog we met was Precious. She had been in boarding a long time. 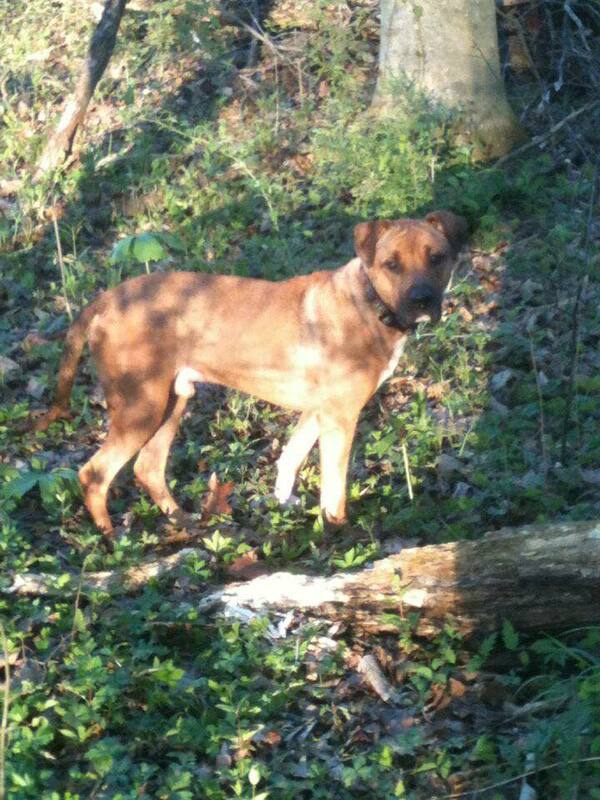 She was a brindle, pit, boxer, and who-knows-what-else-mix. 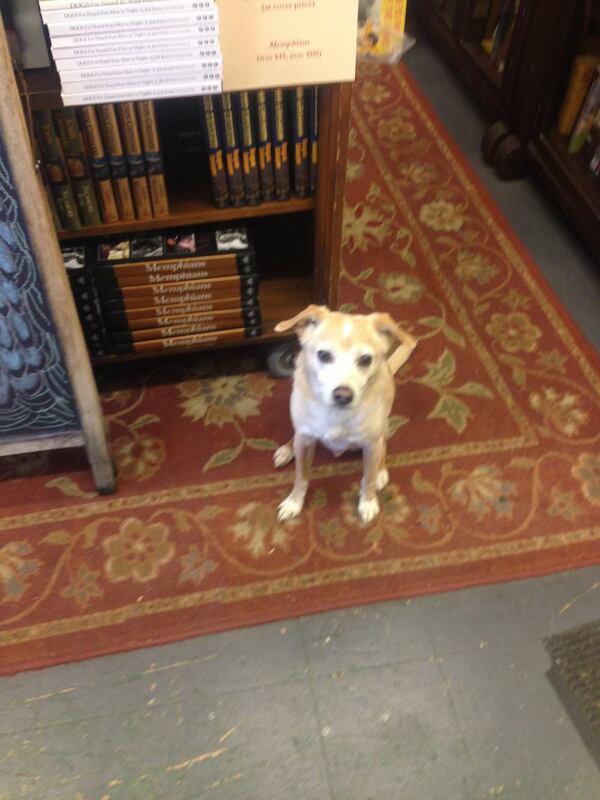 (We affectionately refer to her as a Memphis Mutt.) Precious and Earl got along great in the lobby at Grace, but when Kent and Melanie brought her to our house, it was a different story. Precious got possessive of Earl's toys, and Henry and I thought, there is no way we can keep this dog, but Kent and Melanie were nice, so we wanted to give it a try. Our plan was to keep Precious for one night and then we would take her back to Grace the next day and explain to Kent and Melanie that Precious just wasn't the dog for us. Here we are three years later and Precious is curled up next to me as I write this. We couldn’t let her go. 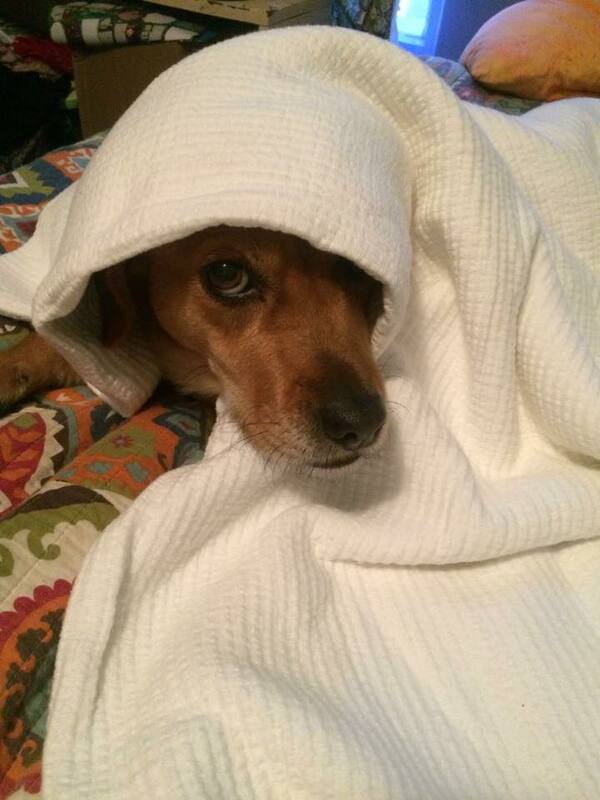 That first night she cuddled up to us as we watched TV, and we were never the same. We became foster failures. One of the many great things about Streetdog is there are so many different ways to get involved. We started out by fostering and then we adopted, we also worked a few adoption days here and there. When Megan went on maternity leave I helped with foster meet and greets and transporting food and dogs to various places. Once our twin girls were born, we found new ways to volunteer that fit our new life. We would take family walks downtown with the dogs in boarding and we were able to help out doing various things for Howl at the Moon. Through Streetdog we have found an amazing vet, Dr. Williams, and his staff at Grace Animal Hospital. 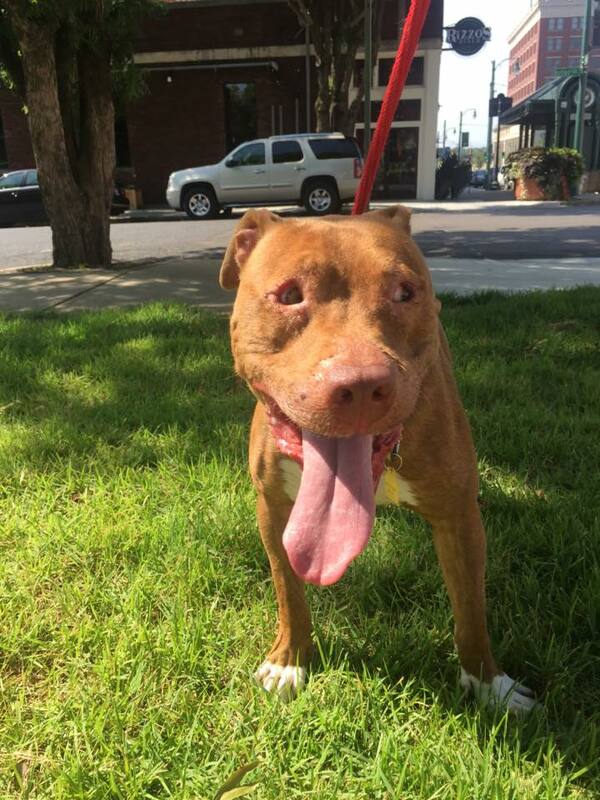 Streetdog is a great way for Memphis transplants as well as long-time Memphians to meet people. Henry and I have made life long friendships that we will always cherish. I can’t decide which part about Streetdog is better, the humans or the dogs. 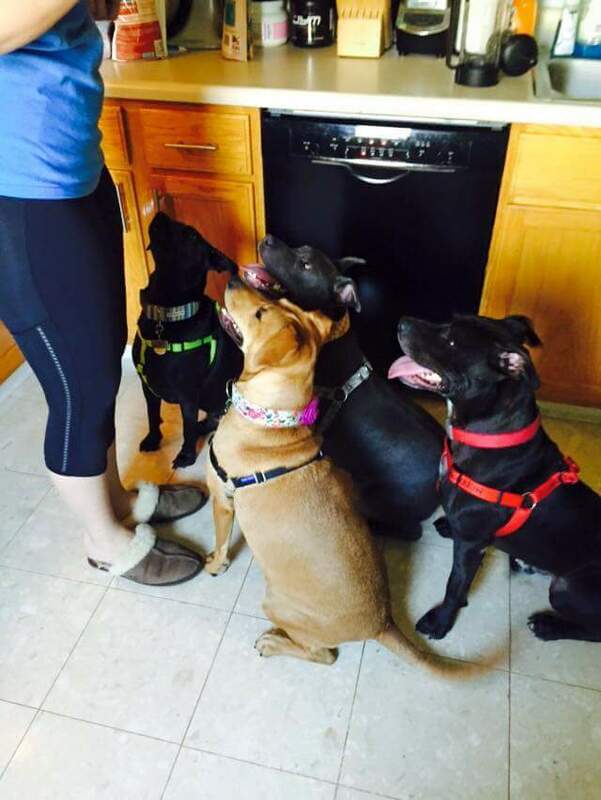 We are really going to miss our Streetdog family when we move to Virginia in June." 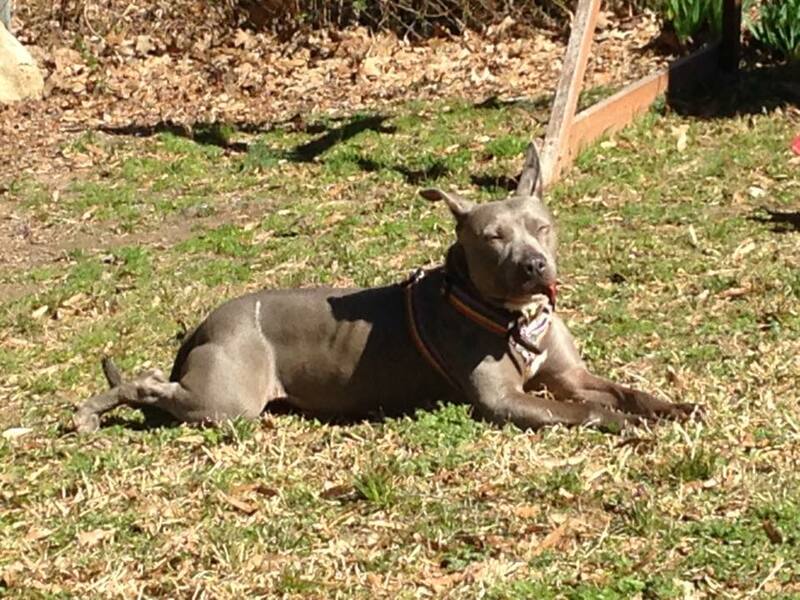 Brittany is a longtime Streetdog foster and volunteer. She and her boyfriend, Mike, now have 3 Streetdogs they have added to their family permanently, and they are fosters to the adorable Munchkin (search Facebook, Twitter, and Instagram for #MunchkinIsMemphis for some great photos of him!). Their home has been affectionately coined the "Streetdog Frat House" because they have so many Streetdogs. Brittany is also a team leader for our volunteer appreciation program. 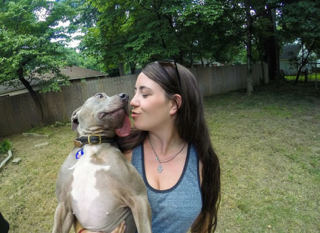 "My boyfriend and I are from upstate NY and we became involved with Streetdog when he decided to adopt Dexter (previously Wade) not long after he had moved here. I was still between NY and Memphis at that time, but fell in love with Dex when I got to spend a week with him during my last visit before the big move to Memphis. Dexter was so skittish and nervous of people, but it didn’t take long for him to trust Mike, and then me. 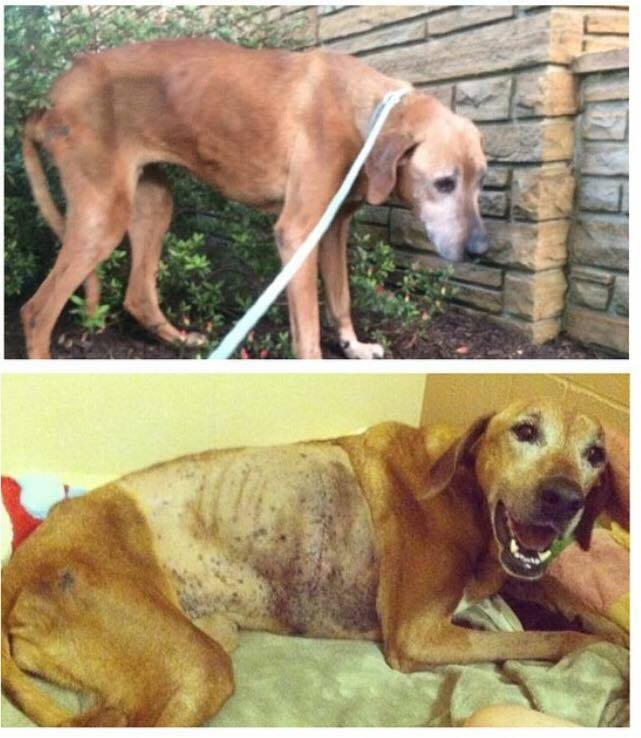 He had crossed Sam Cooper multiple times, had a broken leg, and was hiding under a house, covered in fleas when he was rescued by some of our (now) good friends. When we bought a house, we decided that it was time for Dexter to get a friend, and we adopted Daisy. She was a mischievous yet sweet little puppy, and she and Dexter are literally inseparable. It didn’t take long after that for us to feel compelled to help one of the dogs we had met when we were looking to get Daisy who was stuck in boarding. Miss Wanda became our first foster. She was a snuggle bug who wouldn't let me leave her side at adoption days. It didn’t take too long for her to get adopted, and it was amazing knowing that she had a perfect home with a new sister. It was a great feeling. In the meantime, our roommate had adopted Ryder (Flo Rida) and they lived with us for a while. Not long after, our roommate was going to move out and the idea of being down to 2 dogs was appealing, we must admit. 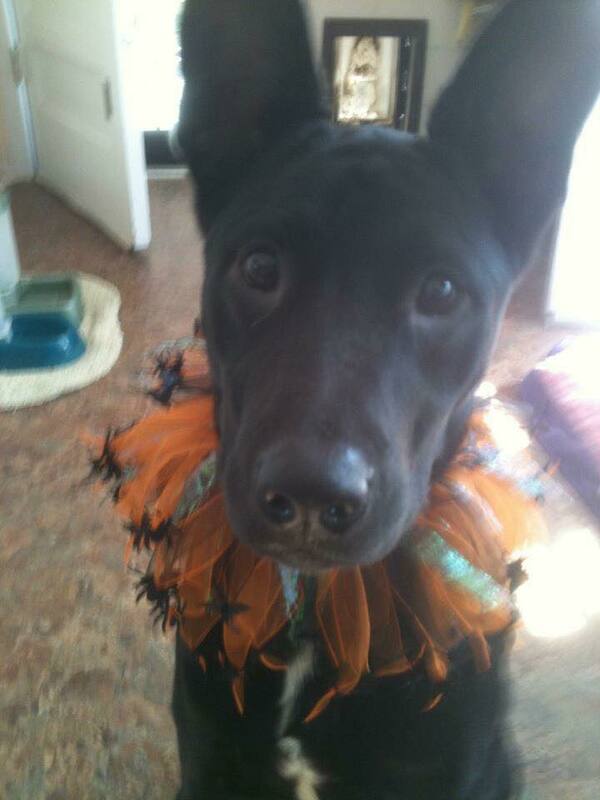 We said that we were going to take a break from fostering for a little while, but then I saw a picture of Streaker. 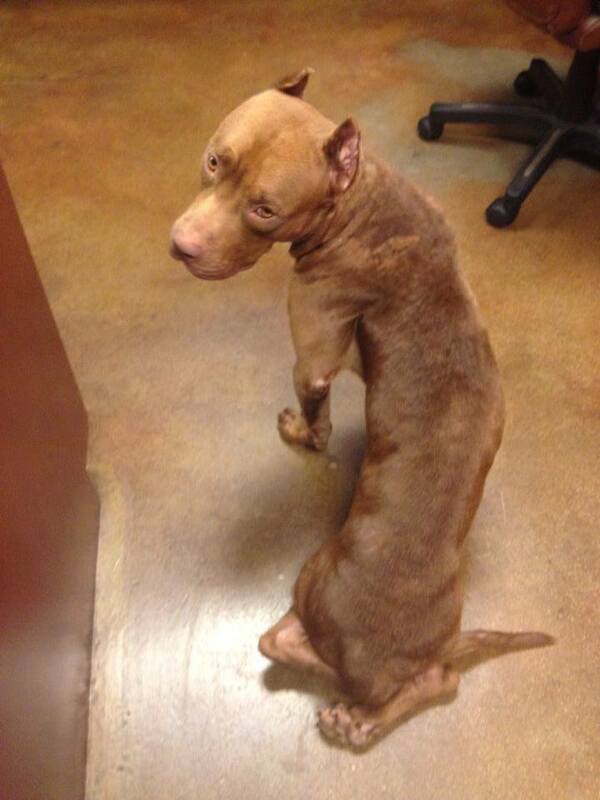 We had no experience with mange or pitties, but after showing it to Mike, we knew we had to do something. We took him home to foster in October of 2014 and joked that we might as well pay the adoption fee now. We didn’t have any intention of adopting Streak, but when we noticed around the new year that our inseparable pair cuddled with his frail little self equally as much as they did with each other, we knew that he wasn’t going anywhere. We finalized our first (and so far, only) foster failure with a surprise party that Mike had set up behind my back for Valentine’s Day with all of our Streetdog friends. 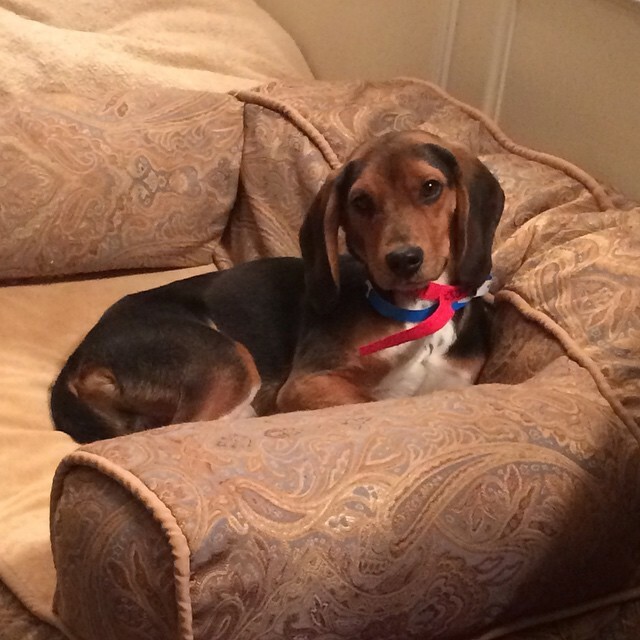 We have had several other short-term fosters through our house as well, including Hamilton, Nash, and Bam Bam. We now foster Munchkin long term, and while being down to 2 dogs is a distant memory, we wouldn’t have it any other way (this is how we received the affectionate name, "The Streetdog Frat House"). In the time between fostering Streaker and now, I have become much more involved with volunteering with Streetdog, including walking dogs, adoption days, training and integration, intake, and now setting up volunteer appreciation events. Going from a small town in NY state, where stray and abused dogs were not nearly as prevalent, to the city of Memphis has been a huge change in many more ways than one. Streetdog has not only taught us so much about how to help these pups, but it has opened a door to do the work to make life better for so many dogs in Memphis. It has also given me the chance to meet many of my AMAZING, new Memphis friends and ease the transition to a brand new city. Thanks for all you have done for us, Streetdog Family!" Jessica Brazelton de Cárdenas and her husband adopted Streetdog Panda in 2015. They are also parents to Cleo the bunny. Jessica has been a volunteer since 2014 and is the Team Leader for Streetdog's photography team. 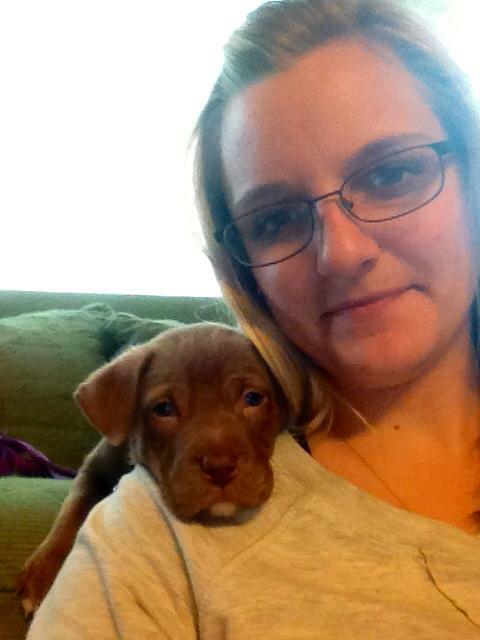 She also works with the training and media teams to market dogs for adoption. "I've never really had a place that I would call home. I have had family spread out across 3 continents, & have moved around a fair bit. I have never felt as though I belonged anywhere. I was, and am, a recovering workaholic. I moved to Memphis for a position that I threw myself into, 7 days a week, many hours a day. And unfortunately, instead of feeling accomplished or fulfilled, this job ate me alive & made deep cracks in my psyche. When it ended abruptly I found myself sitting, alone & in silence for the first time in my life, faced with sheer nothingness. I sat, shell shocked for 3 days, staring into the abyss, & envisioned a million horrible endings. And then a small voice in the back of my brain said, Get up. Do something positive with this time. Because if you don't, you will fall further into that darkness. At that time I didn't feel like I could do anything correctly. Literally anything. I was afraid to move, afraid to leave my house, afraid to talk to people, and certainly afraid to volunteer with anything that had human interaction. I didn't want to explain my current sabbatical and why I suddenly had ample free time. Free time was so foreign to me, I felt like everyone would judge me for having it, and not working 100 hour weeks as I had before. I did know that to avoid further mental breakdown, I had to leave my house, so I signed up to walk dogs with Streetdog Foundation. I figured dogs aren't as judgmental as humans. And I did the only thing I felt competent to do- put one foot in front of the other. For weeks I did this, quietly walking dogs in boarding, and a funny thing happened- I started to get a tiny bit of confidence back. I wasn't afraid to see people on the streets, because they were only interested in the dogs anyway! I realized that no one was looking at me pitifully, wondering how close I was to nervous breakdown, they were only interested in the dog! It was during this time that I met Panda, a black and white pit bull with scars down her legs & an unknown past. She had been stuck in boarding for a while and seemed to want the same things I did- less judgment, a fresh start. Against my better judgement, I took Panda home to foster. I figured that while I was applying for new jobs, she could apply for new homes. Over the months, I had several interviews with companies in various places across the country, but none of them felt right. While it killed me to turn down perfectly viable opportunities, I took a note from the Streetdog guidebook- we don't place a dog into any home, we wait for the RIGHT home. And so I waited, and became more and more attached to Panda. So attached, I couldn't imagine her living anywhere else but with me. And then another position came along in Memphis, and it was better than anything I could have asked for elsewhere. So I took the job, and decided to keep the dog too. And as much as I had fought to leave Memphis over the previous months, when it came time to stay, I did so willingly and with a grateful heart. Streetdog does not adopt out dogs, we adopt in families, I have seen this first hand. Thanks to Panda, I have a family in Streetdog- for the first time in my life, I have people who will not hesitate to help each other if needed. I have a network of friends with a common goal; it is so uplifting to witness. When a Streetdog is adopted, a poem is read where the last lines are: "I will belong, I will be home." And thanks to Streetdog, those lines finally apply to me too. I belong. I am home." Many dogs come to Streetdog Foundation with some kind of health issue. Whether it’s heart worms, mange, broken bones or infected eyes, most are in need of some kind of medical care. But sometimes the healing they need is the spiritual kind and that’s what volunteer Ann Dwyer tries to provide for them. Ann is a practitioner of reiki, a healing art that originated in Japan. “It’s not nearly as mysterious and mystical as people think,” she says. Her introduction to reiki was at a mountain spa near Guadalajara. “A guy there was offering it and I thought, I don’t know what this is but I don’t think it can hurt me. It turned out to be the most profoundly cathartic thing I’ve ever done in my life. I cried tears of release.” When she got home she couldn’t stop thinking about it and wondered, is this something that could work for animals? Sure enough, she found a book called Reiki for Dogs and ended up studying under the author and earning her master's certificate in animal reiki. 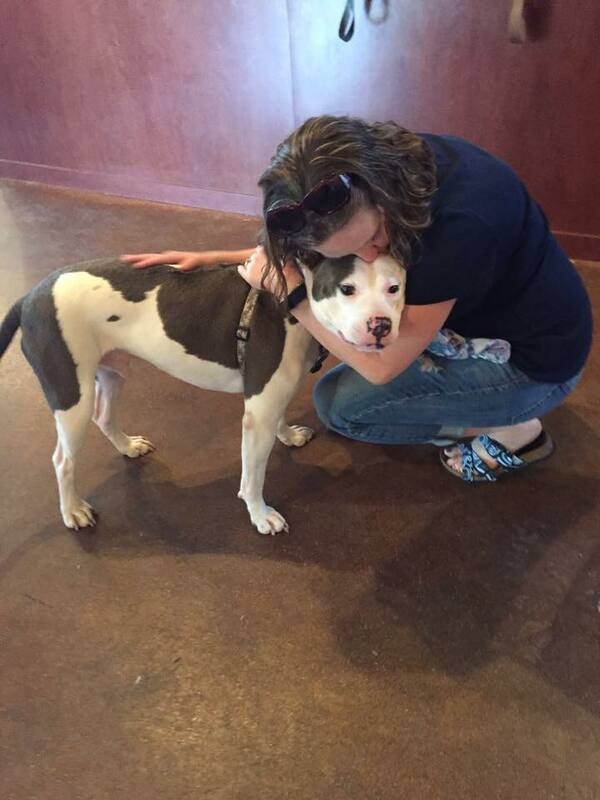 Ann was introduced to Streetdog when her daughter took her to visit some of the dogs at Grace Animal Hospital. Juno was there with her brand new litter of puppies and Ann loved the energy of the staff and volunteers. 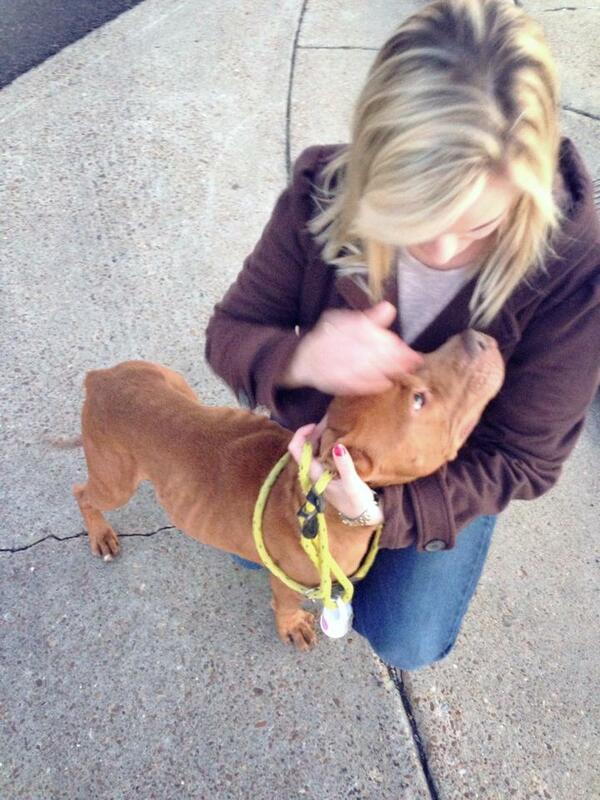 The second time she visited she met Scarlett, who was in such bad shape when she was rescued she couldn’t even walk. And then there was Monk. There was Iris, to whom Ann was a Godmother. And there was Queenie, River, Eliza, Wallace, Isaac, just a few of the dogs for whom Ann has provided healing energy and a calming presence in what can be a very stressful environment for a sick animal. Ann will proudly tell you she’s the oldest SDF volunteer, the uncrowned matriarch. But the driving force behind her dedication to helping animals is the memory of her son, who at 15 years old was struck and killed by a drunk driver. “Even at a very young age he was an animal activist. I know he was the only vegan at Houston high school! He protested. We spent a lot of time in Mexico and worked with baby sea turtles. I just can’t tell you how dedicated he was to animals. If you missed our Monk story, here is a video recap. All reports say that Monk is being a very good boy! He donated all of his bail money to Streetdog Foundation too! I've always been involved in some sort of volunteer work since I've been in Memphis. What I volunteered with usually reflected what I was studying at the time since I spent my first years here as a student. Once I graduated, I was finally "free" to dive into whatever I wanted. I really wanted a dog. In the summer of 2014, I found Streetdog Foundation on Instagram and was immediately drawn to it. It was local, accessible, and full of fur babes. I went through the adoption process and attended a volunteer orientation the day I started my adoption trial with Bear. I loved that I had numerous ways to be involved, but my favorite thing was coming to Grace and walking the dogs who were in boarding and waiting on foster homes. I quickly bonded with the dogs that were in boarding. 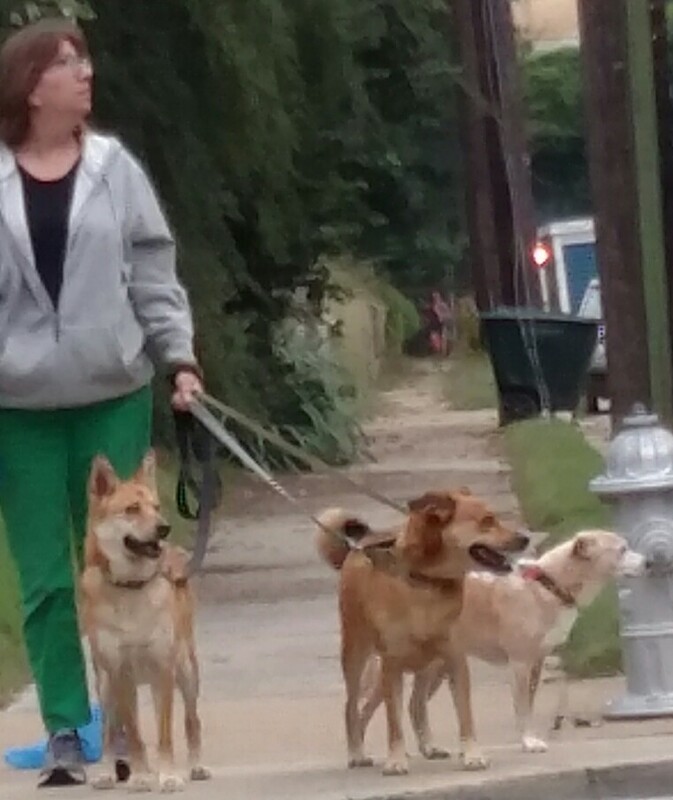 I walked them almost daily and decided I would begin breaking dogs out of boarding by fostering them. Some of those were short term fosters for a few days, and some were longer term fosters. Since that summer when I adopted Bear, I have fostered more than 10 dogs for SDF including Romeo, Holmes, Pafford, Sheba, Nash, Pickles, Hamilton, Amelia, Bird, the Egypt sisters (Alexandria and Cairo), Agnes, Artemis, CC, and a super short foster turned foster fail with Hank.